Add Spark to Your Social Pages, Highlight Your Best Reviews! 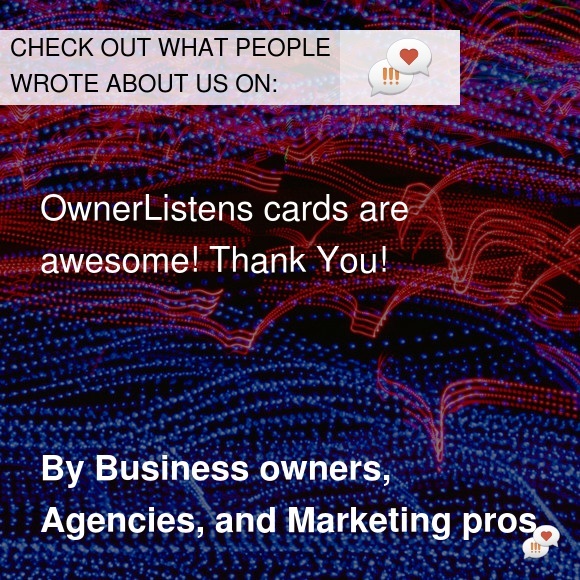 The OwnerListens Cards Generator helps you create an awesome graphic that will make reviews posted your social pages way more interesting than text alone. Wait! There’s more. Just for kicks, we made a fun cards-based pop culture quiz. You can play with it below and it counts as “work”.